Josslyn can mentor private clients in person, over the phone or over Skype. One of the parts of my “job” I find very fulfilling is mentoring others. 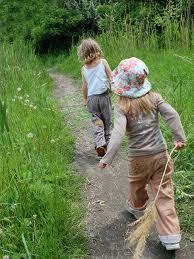 I see myself walking the path right along with you and I LOVE to see the progress that is made over time. I do this by working with Reiki, with my Reiki guides and the client’s guides as well. By reading the energy of these ‘helpers’ I am able to know what is most important for the client’s path, learning or healing. families with sensitive and/or psychic kids who need help understanding and working with their abilities. I love to be that person to guide and walk the process with you, I find it extremely rewarding. It’s much more fun to walk the path together! Anything can happen! I can work with my intuitive abilities to get to the heart of the issues each time we are working together. I intuitively know how often is best for each individual to come and see me. It saves my client’s time and frustration. I offer Reiki circles each month to allow for practice and question and answer time regularly. I am available to my students by phone or email for extra help in between sessions. You never need to feel you are on this path alone. By walking the path with you as your mentor I help you stay focused on your ultimate goal, keep you moving forward, help you out of the difficult times with Reiki support and give you a kind, non-judge mental ear when you need it. I can help get to the deep levels with difficult issues or blockages that you and meditation cannot get to or have had a hard time getting to. Sometimes we just need someone else to help us. Educate you on energy for you personally. We are all unique, what works for one person does not always work for another. I intuitively know which visualizations, meditations, books, lessons, will work best for your unique soul. Help with meditation. Especially when you are getting started with meditation and visualization it helps to have guidance to get you going and keep you motivated with new ideas that are designed just for YOU! I can teach those with intuitive/psychic abilities to work with them, trust them and enhance them while feeling empowered, not afraid. 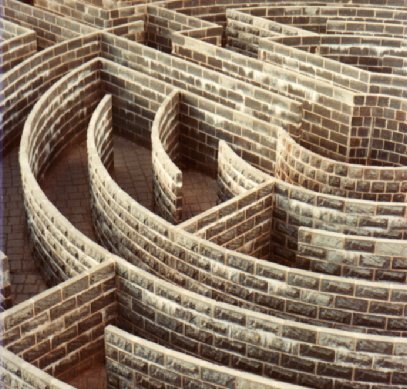 Allow me to help you find your way through the maze of life! I tailor this process for each individual client. It is up to us to determine what works best for you and your unique path. I do highly recommend taking at least a minimum of a Reiki I class for the information and education about energy and the self-healing abilities. Also, taking the class helps you receive additional guidance through your Reiki guides that you get during a class. After that I recommend the Reiki circles once a month for continued education on energy, meditation and getting answers to your questions. Then we determine how often is best come to me for private sessions in order to keep you moving forward. But, again, it is your process and we will tailor it to you even if a Reiki class is not included in that. If intuition or psychic abilities are what you want help with, I would also recommend attending my Psychic Circle class which is held once a month. See that page to read more about what we learn in that class. It helps one to get practice in a safe and secure environment with other students who can help one to feel a part of a spiritual and intuitive community. Grouping sessions together in a package can be done to lower the cost. Josslyn charges $25 per 15 minutes or $95 per hour for all sessions. Call Josslyn at 360-460-7829 or email her at rainshadowreiki@gmail.com for more information.